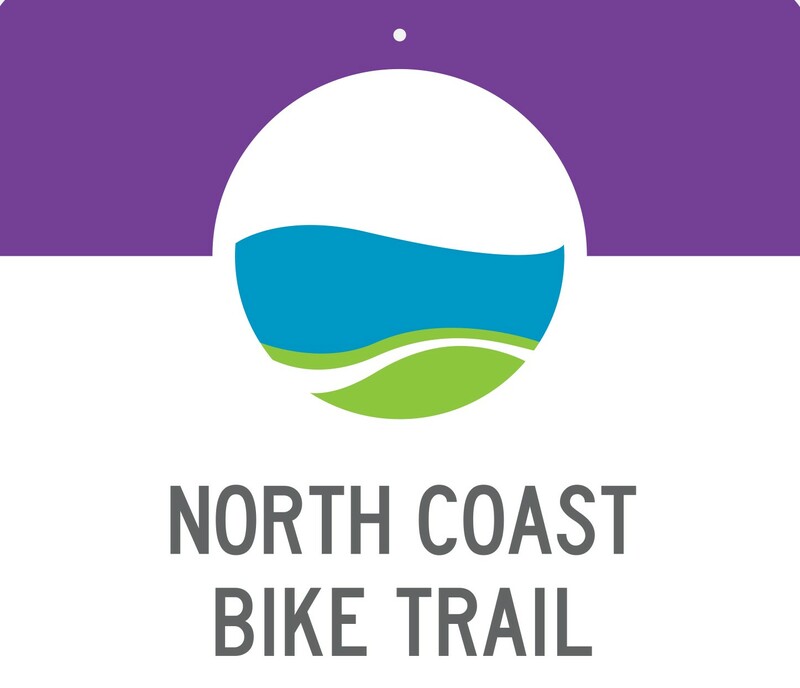 Linking local and regional bike and pedestrian trails to improve coastal access is a key component of Build NCC, which includes projects aimed at improving east-west/north-south connectivity for pedestrians and people on bikes. 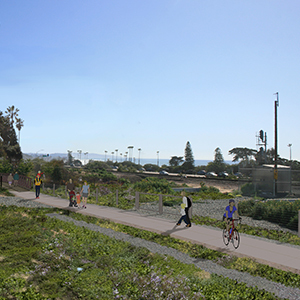 Building the 10-mile North Coast Bike Trail, which includes new east/west and north/­south bike and pedestrian connections from Solana Beach to Encinitas and a new trail bridge suspended from the San Elijo Lagoon highway bridge. 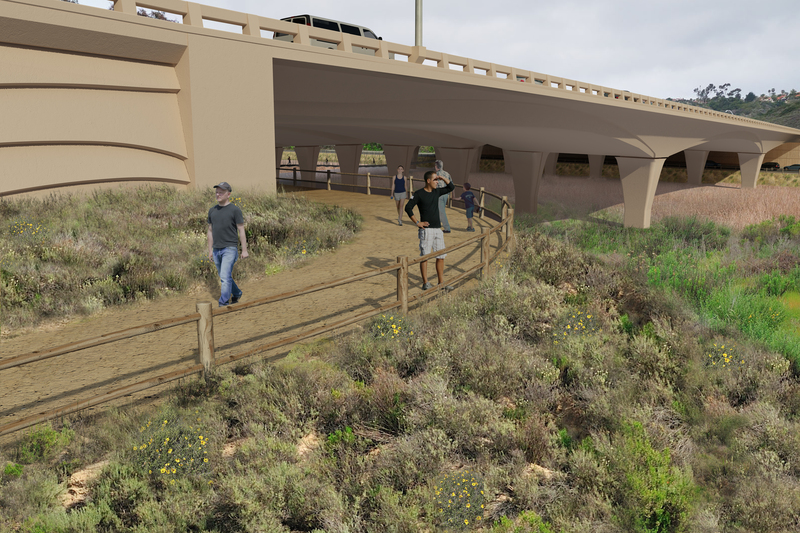 Adding bike/pedestrian paths at the Interstate 5 interchanges at Encinitas Boulevard and Santa Fe Drive. Adding a new pedestrian undercrossing at the south end of the San Elijo Lagoon. Improve access for people walking and biking at the Chesterfield Drive crossing. For the latest information on sidewalk and bike path closures, view the closure list. To view current San Elijo Lagoon trail closures, please visit sanelijo.org/trails. Addition of a 10-mile bike trail that will expand the regional bike and pedestrian network. Improvements to rail crossing at Chesterfield Drive to improve access for people walking and biking. Addition of dedicated bike and pedestrian paths at the Interstate 5 interchange at Santa Fe Dr. 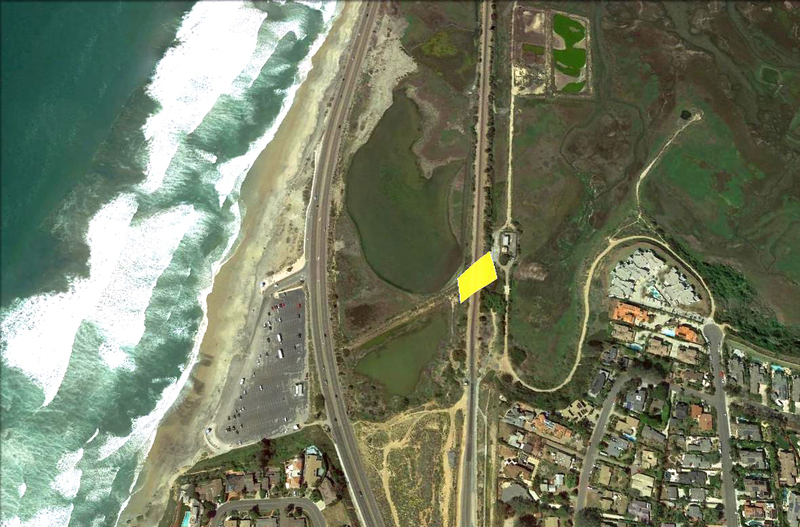 Addition of dedicated bike and pedestrian paths at the Interstate 5 interchange at Encinitas Blvd. Addition of a pedestrian rail undercrossing at the southern end of the San Elijo Lagoon. Addition of a bike/ped bridge suspended from the new highway bridge at Manchester Avenue for north-south connectivity. Improvements to enhance biking and walking connections to several destinations in the Encinitas community.